Viking Longships integrate a patented corridor design* and cutting-edge technology with comfortable amenities that reflect guest preferences and current travel trends. These new features include a revolutionary all-weather indoor/outdoor Aquavit Terrace that reinvents the onboard lounge experience by bringing the panoramic outdoor river scenery indoors with retractable floor-to-ceiling glass doors, allowing guests to enjoy the views and dine al fresco. Accommodating 190 passengers in 95 staterooms, Viking Longships have a patented layout that allows for two Explorer Suites - the largest river cruise suites in Europe - as well as seven two-room Veranda Suites with a full-size veranda in the living room and a French balcony in the bedroom; 39 Veranda Staterooms with full-size verandas; and 22 French Balcony Staterooms. Additionally, all Longships have sustainability upgrades, such as onboard solar panels and organic herb gardens, and energy-efficient hybrid engines that also reduce vibrations for a remarkably smooth ride. Viking Cruises offers destination-centric river and ocean cruising designed for experienced travelers with an interest in geography, culture and history. Featuring onboard cultural enrichment and included shore excursions, Viking’s journeys are competitively priced for genuine value. The sophisticated state-of-the-art Viking Star hosts 930 guests on itineraries in Scandinavia and the Baltic; the Western and Eastern Mediterranean and the Caribbean. As the world’s leading river cruise line, since its 1997 inception the company has grown to a fleet of pver 60+ river vessels (in 2016) offering scenic cruising along the rivers of Europe, Russia, China, and Southeast Asia. Viking has been honored multiple times in Travel + Leisure’s “World’s Best” Awards and Condé Nast Traveler’s “Gold List” as well as recognized by the editors of Cruise Critic as “Best River Cruise Line,” with the entire Viking Longships fleet being named “Best New River Ships of 2012” in the website’s Editors’ Picks Awards. The travel trade has ranked Viking as the “Best River Cruise Line” by Travel Weekly, Recommend and Travel Agent magazines, “Best Cruise Line for Luxury River Cruises” at the Luxury Travel Advisor Awards of Excellence and as “Best Overall Cruise Line for River Cruising” and “Best River Cruise Line for Travel Agent Support” in TravelAge West’s WAVE Awards. 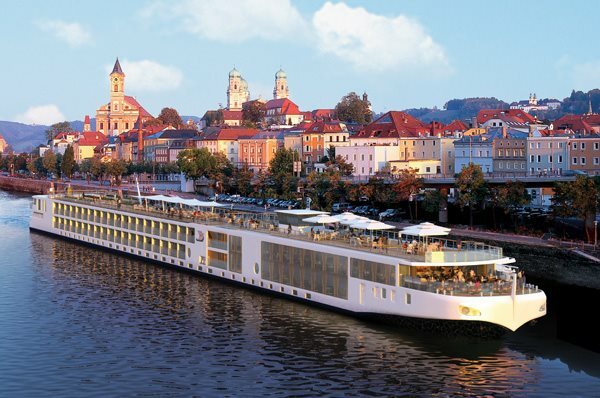 Viking River Cruises has also been honored by the editors of Cruise Critic for five consecutive years with awards including Best River Cruise Line, Best New River Ships for the Viking Longships, and Best River Cruise Itineraries.